Bring all the beauty of an artfully crafted nightstand to any space. The Linear nightstand has a unique design and wall-mounting system so you can hang it on any wall. You'll love the refined, yet durable design, which features details like dovetail joinery and handcrafted hardware, all indicative of expert technique. Linear's combination of wood and steel, craftsmanship, functionality and timeless design has made it a cornerstone of the Room & Board collection since 1990. Learn how every part of our American-made Linear collection is created, from the materials and hardware to construction methods and finish details. Each Linear piece is constructed one at a time by an expert artisan. The entire case is reinforced with time-tested joinery, built and assembled by hand and then hand sanded and finished before it comes to you as a fully assembled piece. 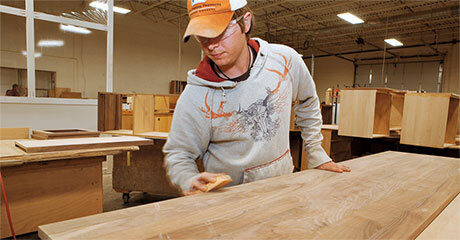 Our commitment to benchmade construction ensures you receive furniture that's built to last a lifetime. 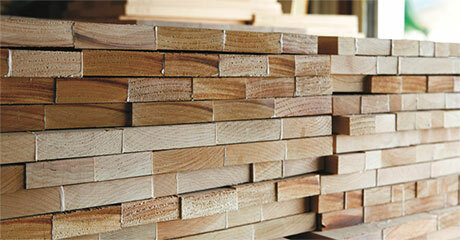 We source our solid woods within the U.S., which has some of the strictest forestry standards in the world. Every board is hand selected for color consistency and strategically placed to create a cohesive appearance. The natural markings of the wood make each Linear piece one of a kind. The Linear collection features solid wood tops, sides, doors and drawer fronts. Linear pieces have wood veneer interior panels, shelves, drawer boxes and bottom panels. The standard wood veneer back is unfinished, but you may customize Linear to include a finished back for an additional cost. 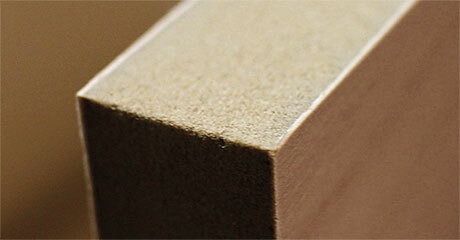 A solid wood layer is applied to premium grade medium density fiberboard to create the wood veneer for Linear. This combination of materials increases structural integrity because it doesn’t expand or contract with seasonal humidity changes like solid wood. Our wood veneers are the best quality in the industry and CARB 2 compliant for low emissions. A lacquer finish is applied to stained pieces and oil and wax finish is applied to natural wood pieces to showcase and protect the natural beauty of the material. Both finishes are applied by hand for a flawless, consistent appearance that is smooth to the touch. Each drawer front is solid wood and perfectly aligned within the frame of the piece. The drawer boxes have Baltic birch plywood sides connected with dovetail joinery and a wood veneer bottom. 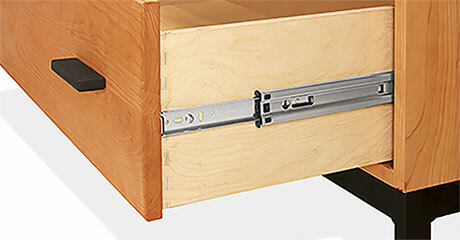 Ball-bearing glides function smoothly even when the drawer is filled to its 100-pound capacity. 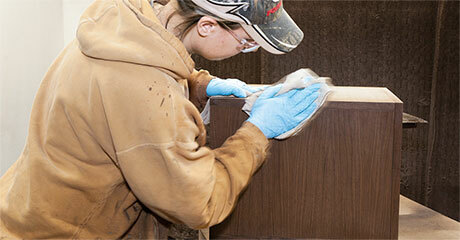 Drawers are hand sanded and lacquered for a smooth, snag-free finish. All doors and door frames are solid wood and precisely inset within the frame of the cabinet. Concealed, fully adjustable hinges open 110 degrees and give you the option to adjust the door alignment for perfect functionality through years of use. Shelves are wood veneer and rest on adjustable steel pins. 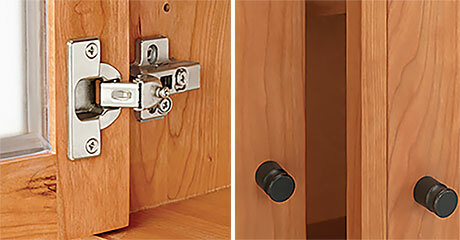 The solid wood or steel knobs, pulls and bases are handcrafted exclusively for Room & Board.